Hello everyone! I hope you’re all well and having a wonderful start to the week! I’m back and getting into the routine again with another post being featured today! It’s all about the Elizabeth Arden Prevage City Smart Review which is something that I know a lot of you are interested in…. Remember the wonderful launch event hosted by Elizabeth Arden? This was their new launch and pretty much, a game changer when it comes to skincare that actually looks after our skin. As you can see, this follows the normal style of the Prevage Skincare range – Silver with touches of gold (or yellow in this case) making it look very classic and lovely. On the outer packaging, what I always love to see is the amount of detail you’re provided with and Elizabeth Arden generally cram information onto the products yet keep it looking lovely. You can see it’s a “City Smart” product with a list of all the wonderful benefits for your skin which we’ll be covering below. Inside the outer packaging, you’ve got your lovely product – It’s not in a typical cream pot and it’s not a squeeze-tube, it’s a pump applicator making things easy to use and a lot more hygienic. This is what makes this product stand out from the crowd making it a game-changer in the field. At the launch event, the lovely ladies at Elizabeth Arden told me how much detail, planning and development goes into the making of these types of products. This took over 2 years in development to ensure that the quality was of high-standard and that – it actually worked! To guarantee that this product is of high-quality and that it actually works with your skin to protect from pollution/chemicals this has been backed and recommended by the Skin Cancer Foundation for daily use. 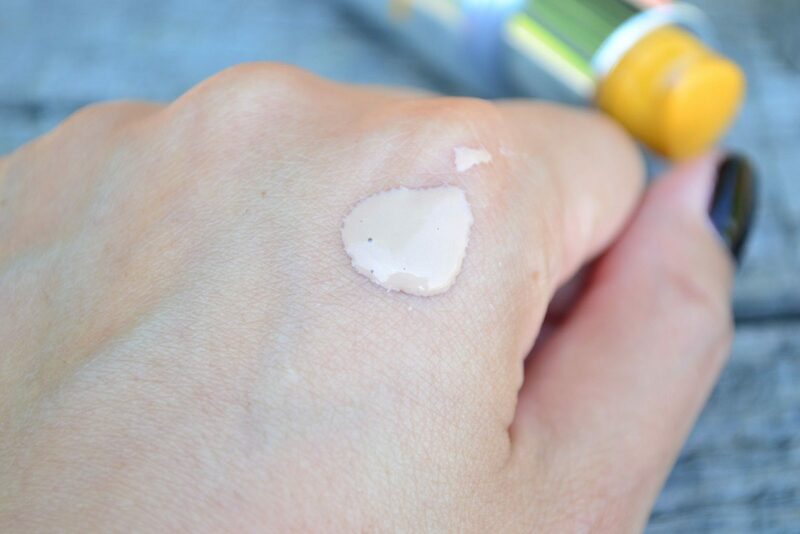 Elizabeth Arden Prevage City Smart Review – What It Does? OK, so going back to the point of this product – what does it actually do for your skin and how can you benefit from this? This is a product for everyone – we’re all out and about everyday, going to and from work, attending meetings and going for lunch etc but one thing which you can’t see is what damage is being done to your skin due to the pollution. At the event, I was told by the lovely Elizabeth Arden girls that London is now being ranked worse than LA for pollution – can you believe that? What does all of this mean? Basically, to keep things simple – this a ‘skin defender’ with advanced protection against the environmental aggressors including pollution, UV rays and free radicals. Once applied to skin – this forms an invisible barrier, protecting your skin from all the harmful factors whilst nourishing to keep your skin looking fresh, young and brighter. Not only does this protect your skin but the formulation has been packed with wonderful anti-oxidants that help to remove and fight the free radicals plus with the added DNA Enzyme Complex it helps to support and repair your skins natural repair system . This is paraben-free and non-comedogenic meaning that it won’t clog your pores or cause any breakouts – what you’ll be left with is glowing, healthy skin that’s protected from today’s harmful environment. I’ll admit – I don’t use this everyday but I do love what this product stands for and how it helps to protect or skin from the harsh environment. When I first applied this (on the back of my hand) at the Elizabeth Arden launch event, I loved how healthy and glowing skin looked. The next day, I applied this onto my cleansed and moisturised skin to be greeted by too much glow – my skin looked oily rather than glowing but it’s nothing that a little bit of powder or blotting paper can’t fix! Now, I’ve found a balance when using this product and I’ll apply an oil-free base and a little of the cream just dotted onto the skin and blended with a foundation brush from Elizabeth Arden (review soon) and my skin looks healthy, glowing and really lovely. With the way I apply the product now, I’ve also found that my make-up looks ‘healthier’ too. If you’re like me and want to protect your skin as much as possible then you need to add this beauty product to your collection. It’s a must-have and a real game changer in the market as the production has taken over 2 years to develop and formulate – when you’ve got the backing from the Skin Cancer Foundation, what’s not to love!? If you suffer with oily-skin, all you need to do is apply an oil-free base before and apply a touch of powder where you tend to get oily to mattify. Check out this Prevage City Smart – it’s the official shopping link to the UK Elizabeth Arden Website. Priced at £55 – it’s pricey but definitely worth it when you think about looking after your skin! You all know that I love reading your comments so let me know what you think of this product! Is it something that you’ve read about online or seen in a magazine? I like reading your reviews. This product is out of my price range but it is on my wish list for when I want to treat myself since this range came out.